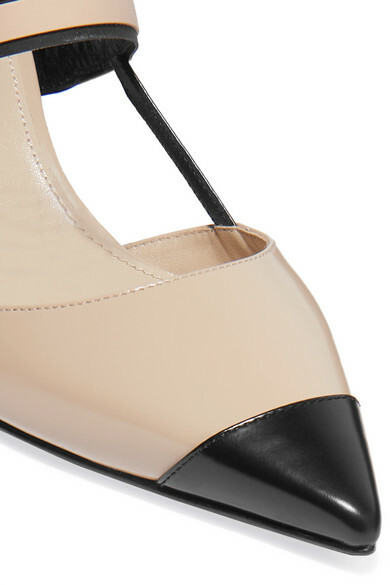 Prada's classic slingbacks are set on a squared-off 55mm heel that’s ideal for everyday wear. They've been made in Italy from cream and black patent-leather, with a logo-embossed rubber strap to secure the foot. Keep the ladylike profile in focus by wearing yours with '60s-inspired mini skirts. Shown here with: Prada Skirt, Prada Coat, Prada Top, Prada Shoulder bag.